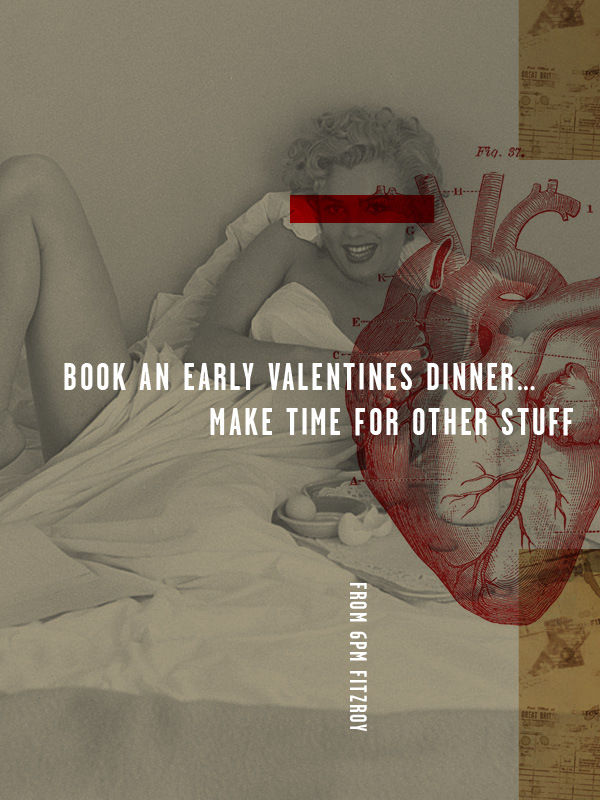 Book for 6pm on Valentine’s Day only for dinner at Fitzroy! Show the one you love something that you both love with an early cocktail and dinner in Brunswick Street. Then the night is young so you can go and… you know, do stuff.